Since autism spans a spectrum of symptoms and behaviors, not everyone experiences it the same way. Some children with autism seem to be typical, while others are quite obviously struggling. The same goes for the families and friends of these children who see their lives completely impacted by the world of autism. How many people would be able to watch a child cry and be devastated by the failed attempts to communicate or complete a simple task repeatedly hindered by OCD or echolalia? How many could watch parents deal with the guilt of thinking they caused their child’s autism or the struggle caused by the questions of what to try next for their child when all else has failed? How many could truly understand just how much time and money it costs to even make an attempt to help your child with therapies, diets, and other unproven programs? Do they want the real autism awareness? Do they want to know about how many times today I tried to communicate with Mikey only to hear TV show talk or a generic “yes” as the reply? Do they want to know the frustration of feeding your child popcorn, cheese doodles, and peanut butter because that is ALL they’ll eat? Do they want to know how many soiled pull-ups my wife and I have changed this week because the concept of potty training is a constant attempt at futility? I truly don’t know if the answer could be yes. With most awareness campaigns like this the general public seems more open to throwing some money the way of the cause and then going on with their regular lives. I can understand that. I really can. And I don’t blame them. The real truth is never pretty. 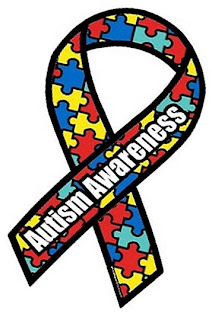 I think what I truly want from an Autism Awareness Month extends beyond facts about how many cases are diagnosed and where people can donate to help. I want people to know that our children with autism are really amazing kids who go through amazing struggles every day. I want them to know that autism parents don’t want you to pity them or their children, but to understand just how deeply love and respect are important to the autism community. I want them to know that after April ends and the TV cameras turn their attention somewhere else, well, we’re still here and we’re VERY much aware of autism. That fact is true, 24 hours a day, seven days a week, TWELVE months a year.